This post is sponsored by Target. Shop Room Essentials to make modern life easier. Finding a piece that is as versatile as it is stylish can be difficult, especially when it comes to furniture. To find that token item that can effortlessly blend with the rest of your furniture while also being functional, practical, and affordable is easier said than done. So when we discovered these stacking cubes from Target‘s Room Essentials line, we knew we had found the perfect addition to not just one, but three different rooms to help minimize the need for bulk and clutter. From bar cart, to nightstand, to living room coffee table, see how we transitioned this one item below to spark some inspiration for your own home or apartment! Bar Cart | An entertaining area doesn’t need to be fancy or over the top to be stylish. By stacking the cubes vertically, we were able to maximize space while also providing a sturdy platform to display wine glasses, mixer essentials and a clean workspace on top. Nightstand | In a similar fashion, these vertical cubes would fit nicely in the bedroom as a storage space next to the bed — which always seems to end up as the catch-all for whatever remains at the end of a day. While most nightstands typically have a drawer, we love the idea of a triple shelf to keep one for your decor and two for storage, ensuring that the first (and last) thing you see when you hit the hay isn’t more mess. Coffee Table | Living room trends tend to ebb and flow throughout the year, which is why we like the idea of setting these cubes next to each other for a simple base to then dress up or down as your design tastes change. The easy access to storage underneath helps to keep the surface area clean — a must for smaller spaces like dorm rooms or studio apartments. What your favorite multi-functional furniture pieces? How would you style these cubes? been looking for a new nightstand and may just try this idea- did you find the cubes stayed intact and stacked? thanks! 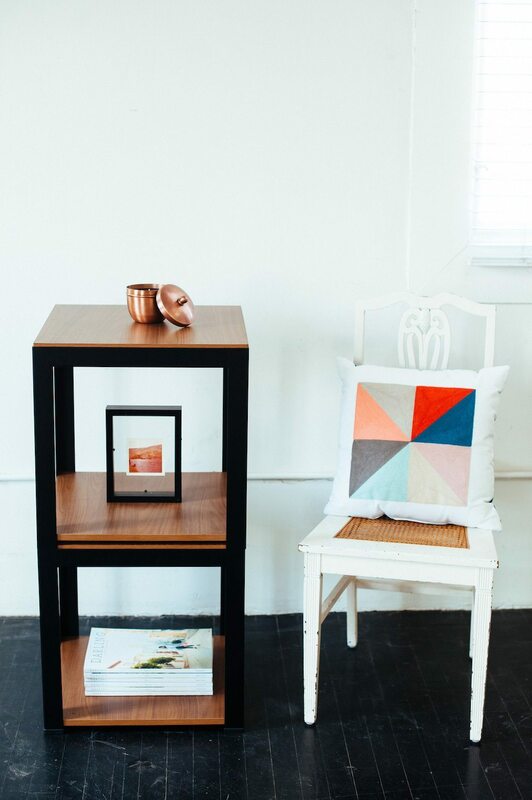 Hi Jaime, I bought these a little over a month ago as a nightstand – stacked as shown – and really like them. They are pretty tall, but I have a tall bed so it works well. They are sturdy and look clean and contemporary. Hope this helps!